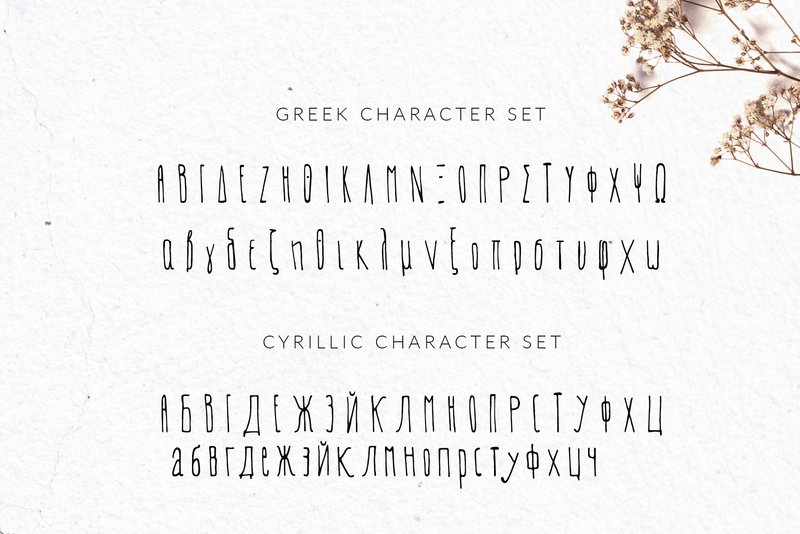 I’m very glad to introduce Evey Handcrafted Multilingual Font | Latin / Greek / Cyrillic, a high quality, multilingual, handwritten font. The wide range of multilingual support of the font makes it ideal for international food packaging. 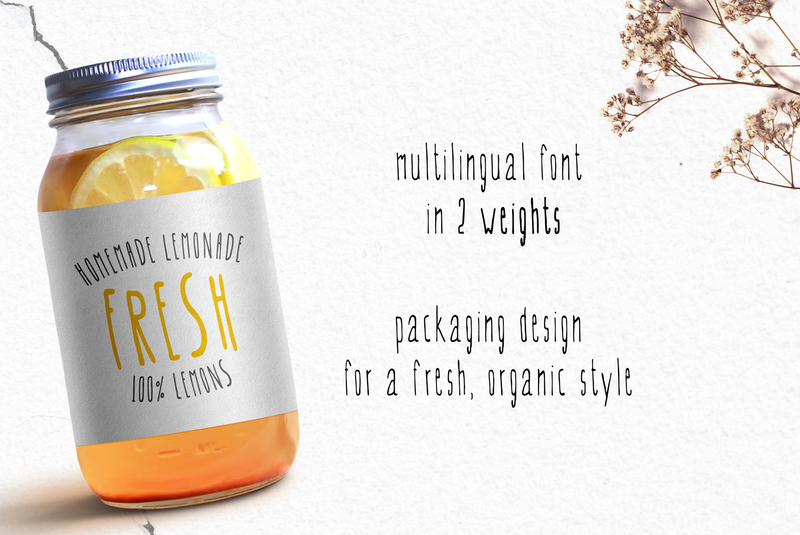 Because of the unique style of the typeface, is the perfect design tool for natural organic product packaging and branding, as one can describe it as a logo font. 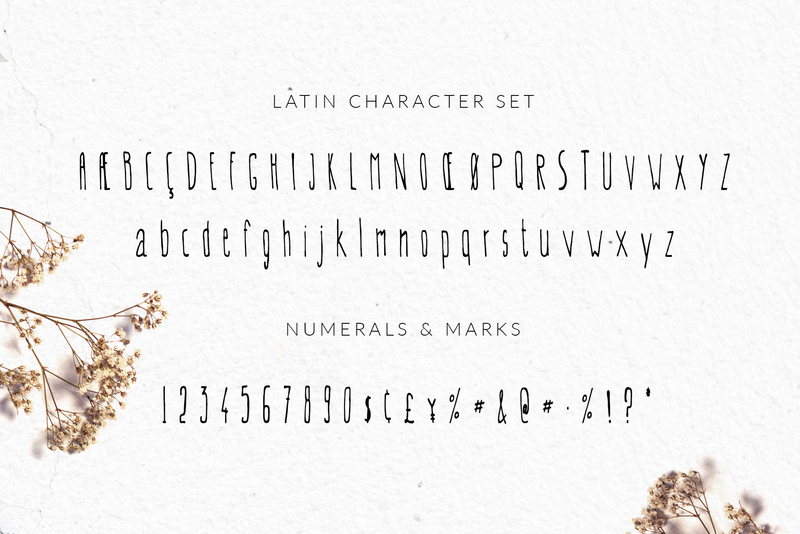 In addition the crafty, yet elegant style of EVEY Font can make it a cute alternative wedding font. Furthermore, you can pair this wedding typography with handcrafted / kraft / recycled papers for an amazing wedding invitation! 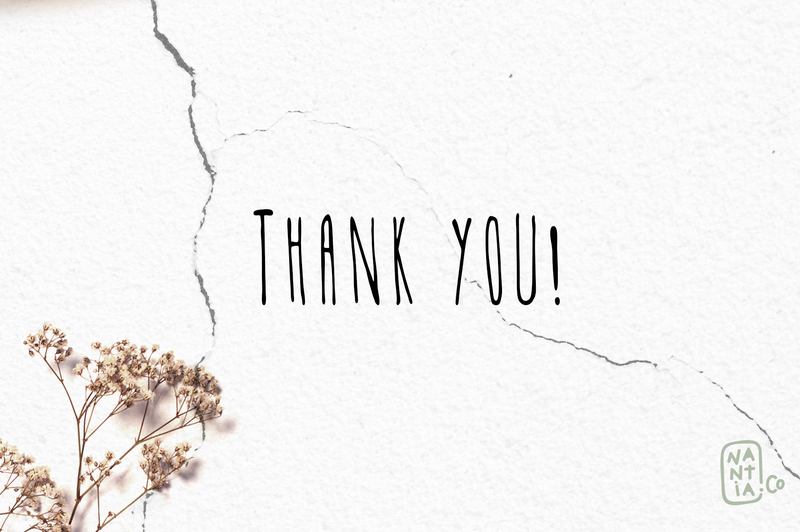 For more fonts like this, check out the Handwritten Font Bundle Pack. Of course, this lettering font is perfect for your graphic design needs like social media quotes, blog headers, and why not posters and stationery.